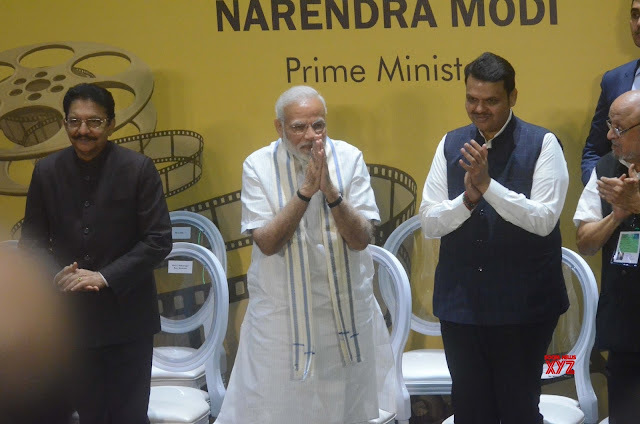 Prime Minister Shri Narendra Modi has inaugurated the country’s first National Museum of Indian Cinema (NMIC) in Mumbai. The museum has been built by NBCC (India) Limited, at a cost of Rs. 140.61 crore. The objective of the Museum is to take its visitors through an absorbing journey of over a century of Indian cinema in a storytelling mode with the help of visuals, graphics, artefacts, interactive exhibits and multimedia expositions. The New Museum Building has four Exhibition Halls: Gandhi & Cinema, Children’s Film Studio, Technology, creativity & Indian cinema and Cinema across India. The museum (conceived of in 1997) has been designed by the National Council of Science Museums and implemented by the Films division under the ministry of information and technology. Today, The National Disaster Response Force (NDRF) is celebrating its 14th Raising Day. NDRF was raised on 19th January 2006, as a specialized force capable of responding to any type of disaster in the country and abroad. NDRF has proved its mettle and the people and political leadership of the country have immense faith in it. The National Disaster Response Force (NDRF) is a specialized force constituted "for the purpose of specialist response to a threatening disaster situation or disaster" under the Disaster Management Act, 2005. Ace Indian female wrestler Vinesh Phogat (24-year) has become the first Indian athlete to receive a nomination in the prestigious Laureus World Comeback of the Year Award. She has been nominated alongside US Tour Championship winner Tiger Woods. Vinesh (from Haryana) made a sensational comeback after battling a long injury lay-off to win a gold medal at the Gold Coast Commonwealth Games and Jakarta Asian Games. According to Japan Prize Foundation, India born professor Dr. Rattan Lal will be the recipient of the 2019 Japan Prize for his contributions in the field of ‘Biological Production, Ecology’. Dr Yoshio Okamoto will be the recipient of the 2019 Japan Prize on of “Materials and Production” field. Each laureate will receive a certificate of recognition, commemorative gold medal and cash award of 50 million Japanese yen (USD 450,000) in a ceremony on 8th April 2019 in Tokyo. The Japan Prize recognizes scientists and engineers from around the world for original and outstanding achievements that “not only contribute to the advancement of science and technology but also promote peace and prosperity for all mankind. Mr Lal was born in Gujranwala in West Punjab (Pakistan) and his family came to India as refugees in 1948. He has been listed among the world’s most influential Scientific Minds (2012) and the top 1% of all researchers in agriculture. According to ISRO Chairman Dr K Sivan, Indian Space Research Organisation (ISRO) will send two unmanned mission to space in December 2019 and in July 2021. Country's first manned space flight - Gaganyaan - will send three humans into space for seven days by December 2021. ISRO's unmanned test missions for Gaganyaan in 2021 will carry humanoids not animals. Indian Institute of Technology-Hyderabad (IIT-H) has announced the launch of a full-fledged bachelor's programme in Artificial Intelligence (AI) technology from the new academic session (first for the country). IIT-H is already offering a master’s in technology programme in AI-Machine Learning (ML). Students pursuing other degrees such as B.Tech in Chemical Engineering or Mechanical Engineering can now do a minor in AI as well from the coming academic year. The International Cricket Council (ICC) has appointed media professional Manu Sawhney as its new chief executive officer (CEO). He is replacing incumbent David Richardson, who will step down at the end of this summer's ODI World Cup in England. Sawhney is the former CEO of Singapore Sports Hub and Managing Director of ESPN Star Sports. The Parliament of Macedonia has passed the resolution to amend the constitution of the country to rename as the ‘Republic of Northern Macedonia’. The name change will help resolve a decades-long dispute with neighbouring Greece opening the way for Skopje to join NATO and the European Union. Justice Asif Saeed Khosa took oath as the 26th Chief Justice of Pakistan. President Arif Alvi administered the oath to the new Chief Justice who took office after the retirement of Chief Justice Saqib Nisar. Justice Khosa studied at the University of the Punjab and Cambridge University. Justice Khosa born in 1954 in Dera Ghazi Khan area of the Punjab province of Pakistan. Former Agriculture Minister Pocharam Srinivas Reddy (69-years) has been unanimously elected as the Speaker of Telangana. Srinivas Reddy is a veteran Telangana Rashtra Samithi (TRS) leader. Pro-tem speaker Mumtaz Ahmed Khan formally declared Mr Reddy elected as the Speaker of the Assembly. Indian cricket team became the first visiting team to win bilateral series across the three formats against Australia Down Under. India defeated Australia in the third ODI to clinch the three-match series 2-1. Now, India became the first visiting side to win a bilateral series (two or more matches) in all three formats in Australia. India registered their first Test series win in Australia earlier this month, while they won a T20I series on Australian soil in 2018. Dhoni was declared Man of the Series.